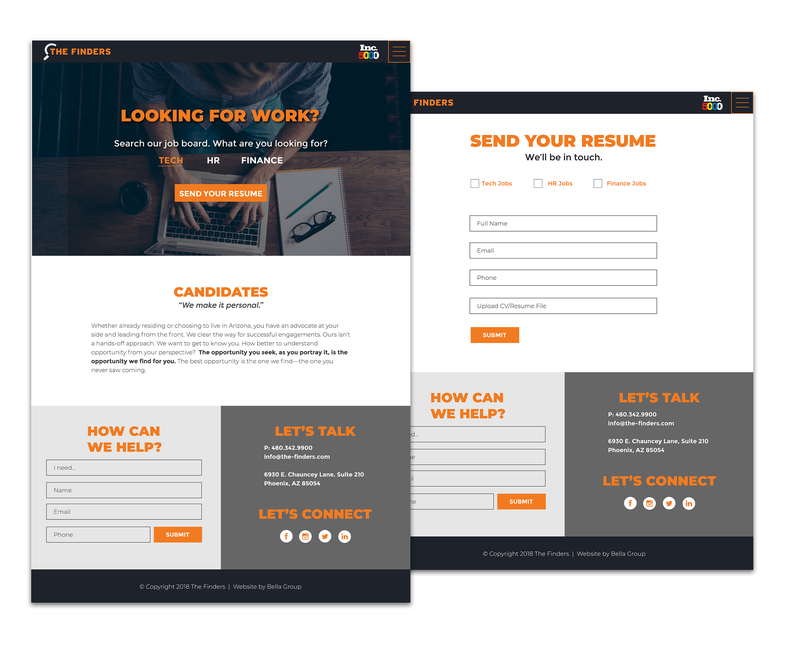 The Finders - Bella Group Inc.
Arizona’s #1 tech recruiting firm had an identity opportunity. 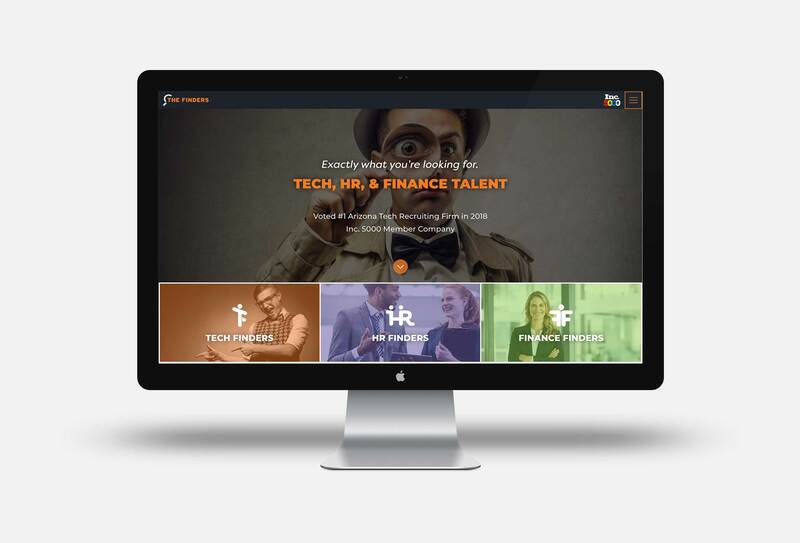 As the company sought to enter the HR and Finance recruiting domains, the first challenge was to properly name and message the restructured entity. Crucial was the need to showcase the company’s personality while also presenting the unique essence and culture of each of its recruiting divisions. 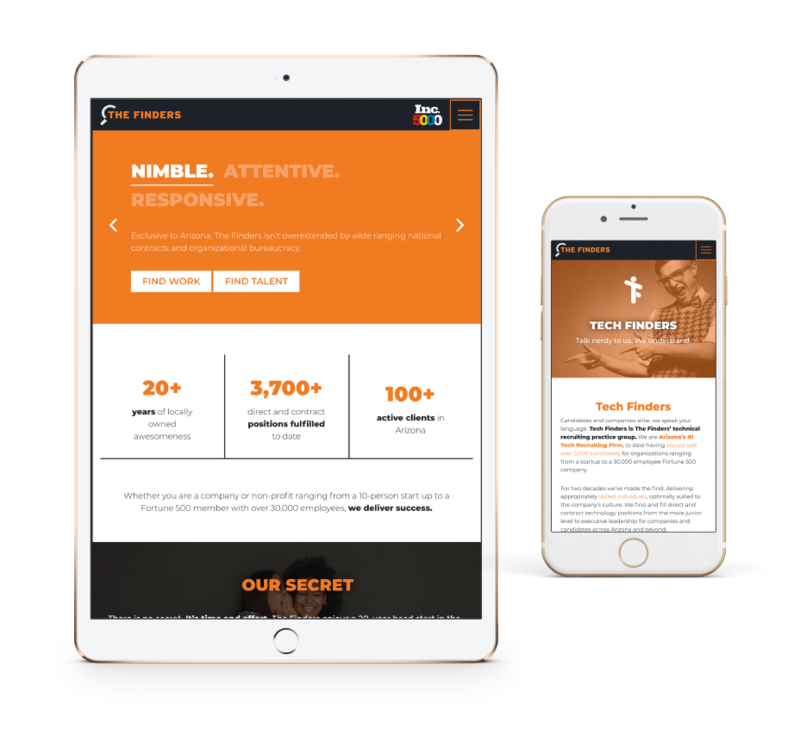 The new website speaks to candidates and companies from all three industries in language and emotion unique to their space. Design virtuosity and strategic branding brought The Finders three distinct web “atmospheres” under the website’s umbrella. 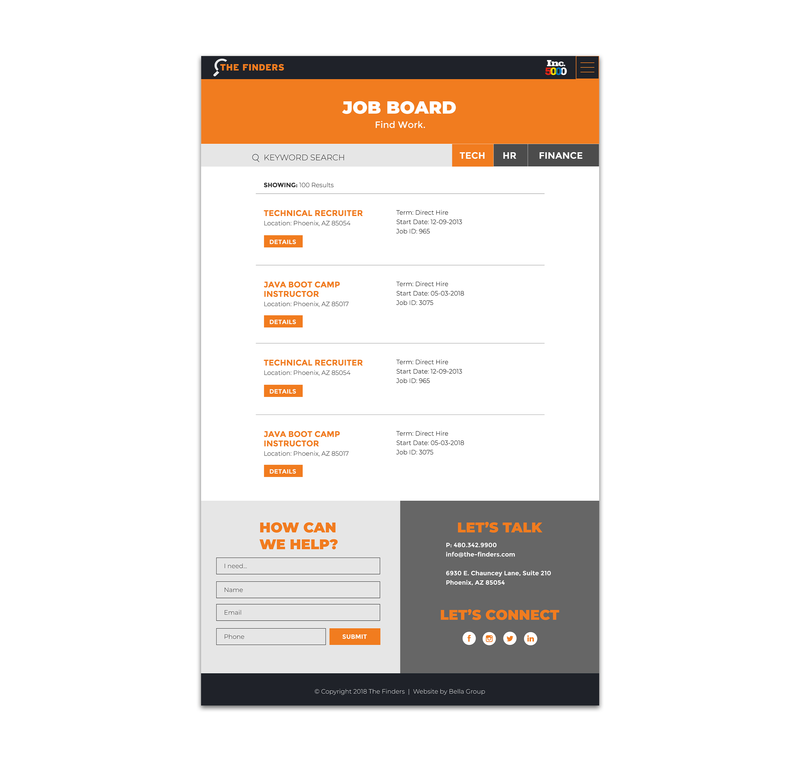 A workhorse, companies and candidates begin and end their search from the cohesive, functional and informative, website.